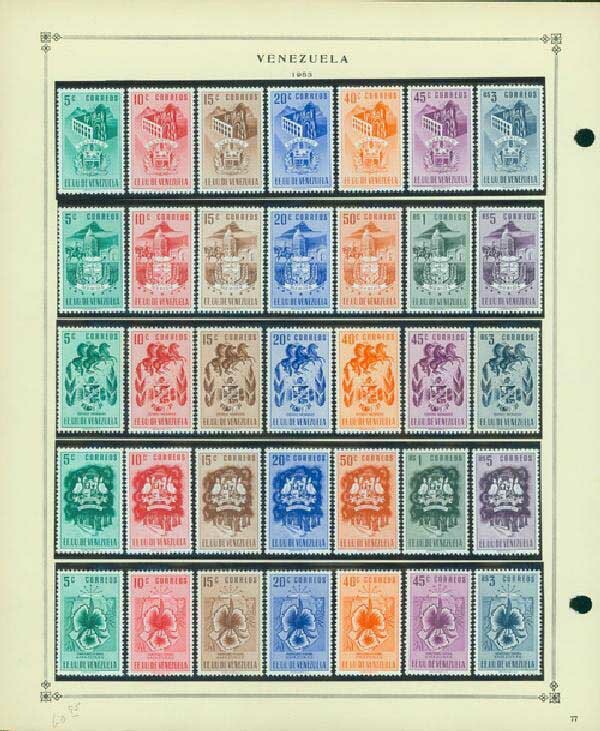 Large Venezuela collection contains approximately 60 album pages averaging 8 stamps a page. Most of the stamps are in mint condition. Highlights include complete sets like #C437-51, the 1952 Arms of Trujillo stamps which have a catalogue value over $36 alone. Also features pages of the interesting “Arms” type from the 1870s. Nice collection with impressive savings.